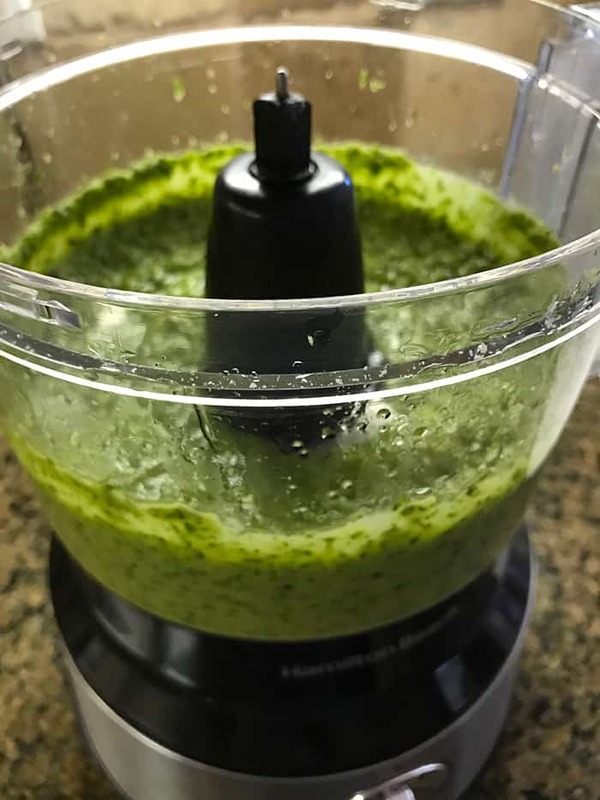 I originally published this Homemade Pesto Sauce recipe in early September of 2016, before my blog became live. It was actually my first ever recipe and I had no idea what I was doing (in many ways). 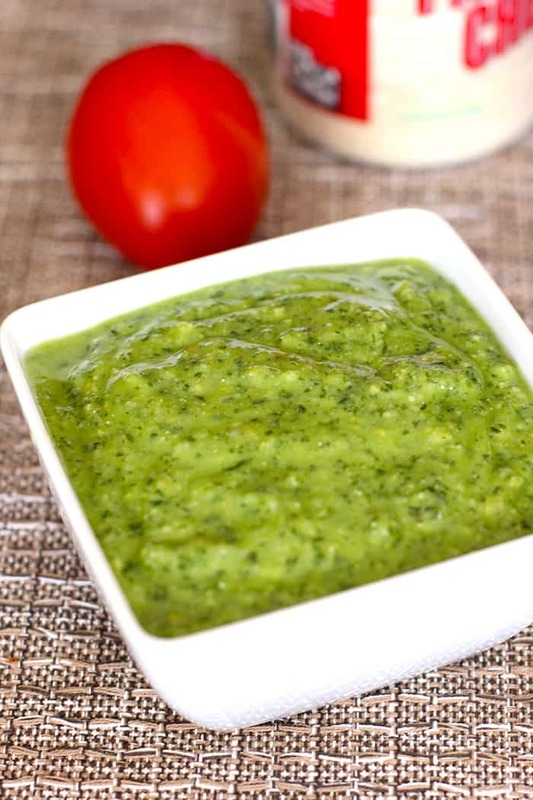 Five months later, and about 20 pesto sauce batches later, I’m ready to re-post it. By the way, the actual recipe hasn’t changed. My recent Shrimp Pesto Rice Bowls is a frequent dinner, thanks to always keeping some pesto sauce in the freezer. I’m also working on a new meatless sandwich recipe with pesto that got a thumbs up from my family. So much so that Josh took a container of pesto back to college today (after coming home to surprise me), along with a loaf of homemade bread, and a few other things. 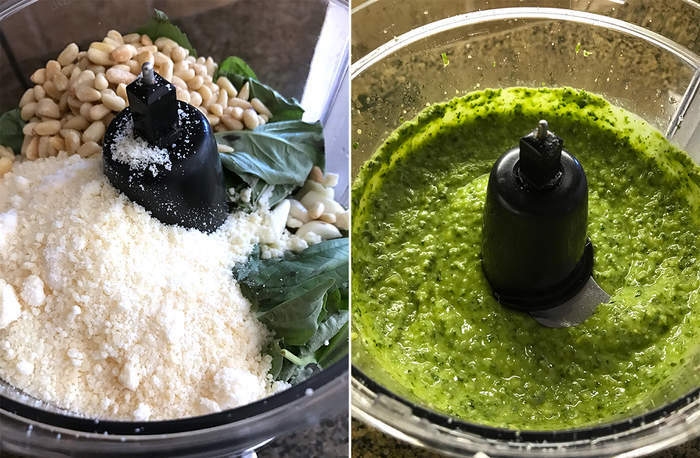 to make pesto. It’s a good appliance to have in your kitchen anyway, and super useful when making my Power Balls for the boys. This sauce comes together super quick, and I usually double it. Make sure you buy a large container of basil, if your store carries it. You might also find a basil plant in the store that you keep on your counter. Note that I make this with or without nuts, depending on if I have any on hand. It’s delicious BOTH ways! 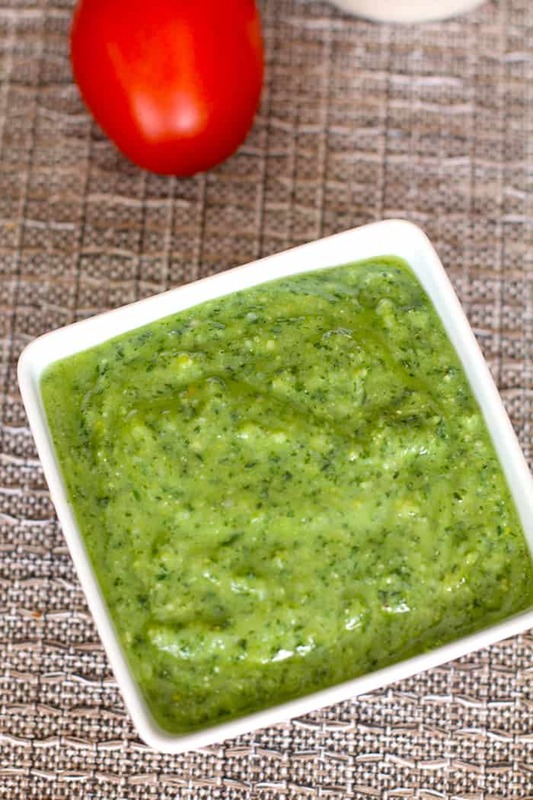 Use this sauce for an easy marinade for chicken or shrimp, as a base for pizza toppings and sandwiches, or a sauce for pasta. You’ll never want to buy store-bought again. Add two cups fresh basil to food processor. Add the remaining dry ingredients and pulse. Use for marinade or sauce. 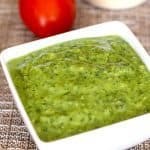 I’ve never made homemade pesto before! Super easy and very tasty! We all loved it on your skillet pizza! I made the pesto this weekend. It’s easy and delicious.